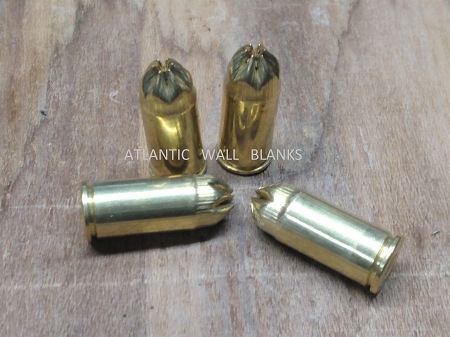 .45 Colt brass cased blank with NO POWDER. Revolver blank is properly "Bottle necked" to prevent fired round from sticking in the cylinder after firing. Short case is for use in revolvers only. These will not feed in lever actions. Please see our line up of 5 in 1 blanks for lever actions.